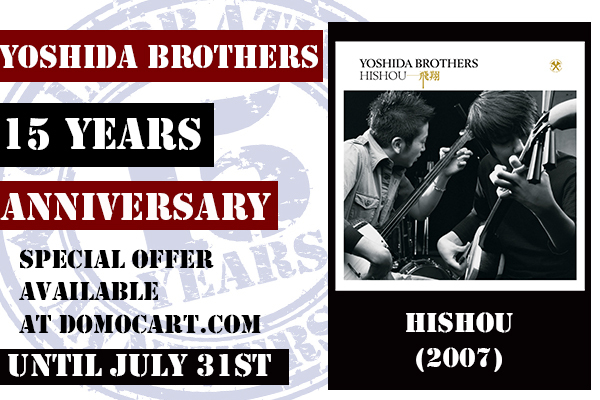 We are featuring their 2007 released (US) album “Hishou” until July 31st. This album is just pure shamisen virtuosity. They didn’t use any other instruments like Guitars or Taiko Drum. 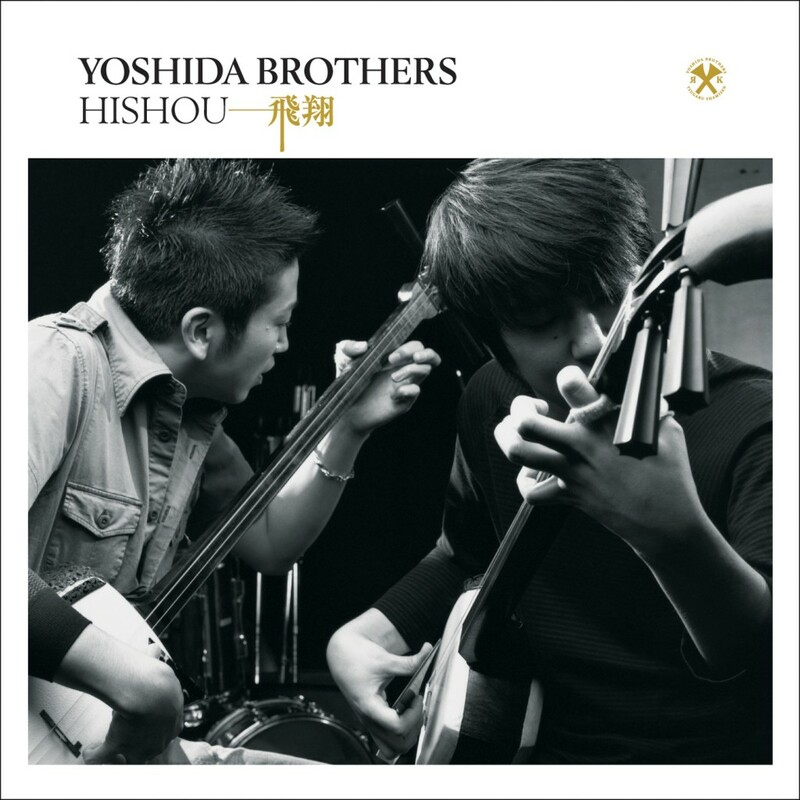 Yoshida Brothers covered some of their original songs, traditional Japanese songs, and played new songs on this album. HISHOU (“flying” or “souring” in Japanese) continues the exploration of marrying new phrasings to traditional sounds. The result is at once sentimental and respectful of the past, while also forging a sonic bridge to the future. Having explored rock and world music themes in previous releases, this album marks a return to basics for the brothers, highlighting their commitment to and reverence for the historic art of Tsugaru-Shamisen. Follow Yoshida Brothers on SNS! This entry was posted in Yoshida Brothers and tagged 15th Anniversary, hishou, Ibuki, japanese, kodo, rock, Shamisen, traditional, tsugaru, world, YB, Yoshida Brothers, いぶき, 三味線, 吉田兄弟, 津軽三味線, 飛翔, 鼓動. Bookmark the permalink.